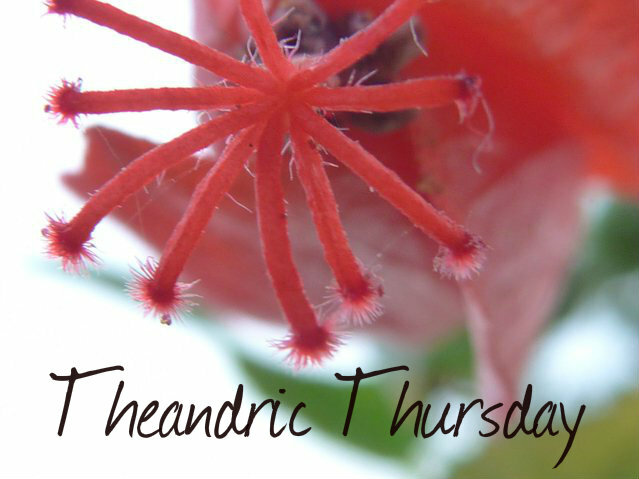 Theandric Thursday is a used to be a fortnightly feature on my blog (now it'll just be whenever I have the time and mind! ), where I'll be having fun with putting down those weird thoughts and stories that occupy my mind most of the times. The dictionary definition of 'Theandric' is 'Relating to the joint agency of the divine and human nature'. I’m pretty sure I wouldn’t be caught dead in a 19th century gown, however classy it looked on me, the likes of which I seemed to have on my body. Neither would I have been yielding a golden bow and arrow, which I found in my hands. As for the mesmerizing landscape that treated my eyes as I looked on, I would love to be found dead there! Wait...... what? Weirdness alert! I shook my head to shake off the ghastly image that had begun to form in my head (over-active imagination has its faults) and as I did, the scene began to fade and swirl and my head did not know where it was as it stayed in that moment of being halfway between sleepiness and wakefulness. Floating in that territory, as I tried to get back to being awake, I was forced to stop as I heard a soft whisper right next to my ears. ‘Aarrteemissss? ?’ it spoke, as slithery and scary as a snake. An image floated in front of my eyes: a hazy mess of hair sitting on top of a roundish face with clear, hazel eyes, a sharp nose and a goatee. *Singing Radiohead at the top of my lungs...* boomed Avril Lavigne from the speakers of my cell-phone as the morning alarm went off and I woke up with a start. Shutting my eyes close and concentrating, I tried to remember what it was like..... the dream.....the man with the hazel eyes. I had to give up soon after. Recalling dreams was getting much more difficult these days. I got up, dressed myself in a Capri, sneakers and a tee declaring me as an alumnus of Hogwarts and leaving the bed unmade, went out towards the dining hall of our own little ‘palace’. I actually hated the word ‘palace’, which is what they called it. For one, it was smaller than any of those palaces I had seen on my tours to different places in India and two, I wasn’t very happy being a “royal”, however royal it sounded. It was too constricting for my liking. But anyhow, I was a princess. Kind of. And I loved my parents very much. They sat at the table, getting breakfast served, looking as elegant as royals should be. Hugging them and exchanging Buenos dias, I gulped down my breakfast, listening to their plans for the day. I had pretty much decided to stay back at the house (no palaces for me) and work on my book, not having much of an idea of the kind of deals my parents struck anyway. Hours later, having spent the better part of the morning typing, pausing, re-writing and plotting details, I reached a saturation point and looked up from the desk, staring ahead through the window into the pretty lawns and old willow trees adorning the back of the house. It was difficult to write as I kept getting distracted, going back and forth to the strange dream. It was when I was wondering if I should just call it quits, that I saw a blur of colour crossing one tree to the next. I stood up and stared through the window. No movement at all. ‘Carlisle!’ I called out through the intercom and a minute later, a well-groomed man in his late forties stood at the door, doing a quick curtsy, knowing pretty much how I disliked it, and waited. I thought I had Carlisle at that. He seemed about to say something but then stopped mid-word. ‘Rainbow?’ He whispered tersely. ‘Yeah, alright. Be careful Carlisle,’ I said as he closed the door behind him. Of course I couldn’t stay inside a closed room while everyone was apparently, looking for an intruder. This was my house, after all. Snatching up my sling bag and cell phone, I made my way out to the hallway, carefully peeping around corners. I’d been wandering for about 20 minutes now, looking into rooms and getting distracted by all the beautiful artworks that adorned every corner. No wonder they called me Artsy. I loved such stuff! Although my real name on paper was Diana, hardly anyone ever called me that. I was on to the fourth floor corridor now, someplace I hadn’t stayed for long ever in my life and now that I came to think of it, I never did get a chance to snoop around there. This palace was more like a holiday home, a place to spend the summers. We lived in India for most of the year. This floor was musty, the corridor narrower than usual and walls filled with a huge tapestry and in the centre, a single room. I remembered hiding there once as a kid while playing Hide & Seek but no more than that. The tapestry must be ancient, I thought, for it was inscribed with hieroglyphs instead of the usual painting. I tried the door of the room to find that it opened easily, a pool of clear carpet in the dust, almost as if.............. as if someone had recently been here! My heart started beating fast, signalling the very high probability that I was in danger. However, I was just greeted by silence. There was no sound and no soul seemed to exist except me. For good measure, I checked out the room completely, being as brave as to look beneath the bed and inside the wardrobe. The room was dark and I couldn’t find the light switch, so I moved towards the heavy drapes covering the windows and pulled them aside. Light flooded the room and I had to shield my eyes from the glare of the sun. I had serious misgivings about the weather here. But then maybe the room had been closed up for far too long. I went to the left and pulled down the string for the drape to open completely and as it did, a painting hanging on the window towards the right came into sight. Looking at the huge window and the painting on it, I had a brief moment of déjà vu as I realized that I’ve been here before. Things seemed to have numbed by now, the light not as harsh and the silence deeper than it was. Back when I’d been a six year old, hiding in this room waiting for my brother to seek me out, I’d seen this window. Carlisle had sought me out, looking rather testy for his usual manner and murmured, Nunca acercarse a las ventanas! Nunca! ¿Qué? I had spoken in my high-pitched voice. ‘Shh! Miss Artsy, you no come here. Okay?’ Carlisle pointed towards the windows. ‘Those are THE windows. Las ventanas. Don’t come here before the time is right. Now go on... go play,’ and he pushed me out of the room and locked it up. Now, 12 years later when I sensed the familiarity, it wasn’t all nostalgic, for the last time I’d been warned against the windows. It didn’t make much sense though. What would the windows do? They were probably too high up and Carlisle had imagined me falling off through them, I thought. Walking towards them, I saw that they were indeed quite precarious, as there wasn’t any balcony out there. I turned to study the painting more closely. It had a beautiful landscape, ending in a cliff overlooking a ditch perhaps, with thick trees in the foreground surrounding a streaming river. In the background, just near the tip of the cliff, stood a young maiden, her back turned. She had long black hair, tied in a thick braid and decorated with a tiara of white flowers. Her body had on a very light blue full length gown and she seemed to have been standing there in a rigid, alert posture, like she’s been on a lookout since forever. I hadn’t noticed myself getting closer to the picture, but I couldn’t have helped it anyway. It was a mesmerizing.... and a somewhat familiar scene. My fingertips touched the painted maiden and I jerked back in shock as the painting started swirling around in spirals, getting hazier. Just as it had started, it stopped all of a sudden and heart pounding, unable to move, I stared as the girl walked towards the forefront, towards me, the rest of the scene completely still. She walked with purpose, her dress slightly blowing in a wind I could not see. In her hands she held a golden bow and arrow and something like a helmet. Ever heard of that expression, ‘she stood with her mouth hanging open’? That’s what I must have looked like as I saw the girl and a rush of memories, dreams and words flooded my head, incapacitating me to do anything. Alpheus! Artemis! Orion! Bay of Biscay! War! Dive! Run! Las Ventanas! I like Theandric Thursday stories because they’re fun and allow me to make the story go anywhere I like, however quirky that might be. It feels satisfying, even when I somehow tend to extend the stories into sequels these days. You’ll find the next part posted by next Thursday. Till then, I hope you enjoyed reading this! PS- You can read Usama's Theandric Thursday post for this week here. I'm not that good in giving compliments but this is pure gem of a piece i've read! I can be wrong in many people's eye but to hell with them, i found this super-awesome. Dudeee!! was that an ending or what? It is torture, seriously! So much... so much stuff into one story and on top of that you leave us at such a horrible cliffhanger. You better write the sequel this thursday, I am trying to figure what and how things will turn out and who and what everyone would be, but I can’t. Even after googling Alpheus, Orion, Artemis and some more. Please tell us what treasures does Las Ventanas hold and soon. I missed this Thursday, will write the next one soon! As for the names and people included, hahaha :P Yess, you would know! Wow. I felt like i was reading a book from a very pro writer. And just when you left us all hanging onto it , realisation struck and disappointment grew. Please please , write the sequel soon I want to read it right away. It was perfect. All those details. I felt like i was right there feeling all that. Will come up with the next part sooooon! This is such a nice theme! I might steal it from you sometime :P your writing is very good! 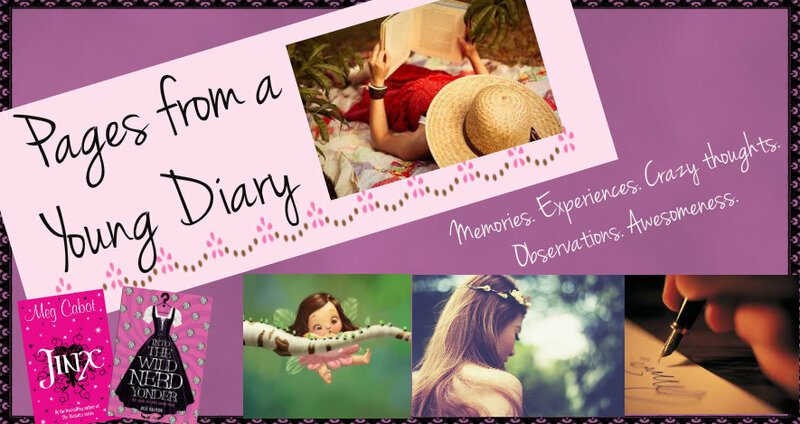 Do write something on this theme and drop a link here :) I hope you'd enjoy it! Wow wow wow... some superb imagination that was!! !